There has been lots of discussion recently about how much more the ’1%’ earn than everyone else. There has been less attention paid to how much more they own. In fact, wealth (what people own) is more unequally distributed than income. 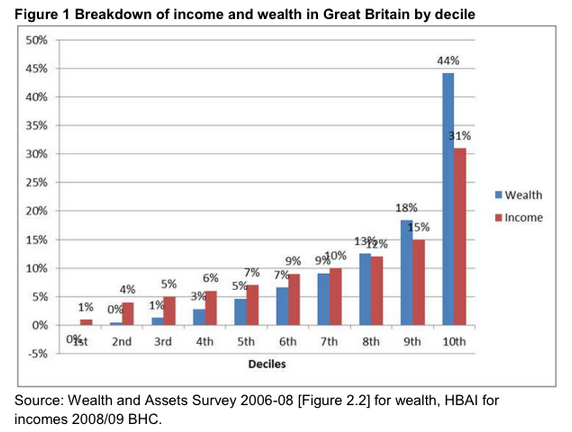 This chart gives you an idea of just how unequally distributed wealth is in the UK. Wealth includes things like pensions and stocks. 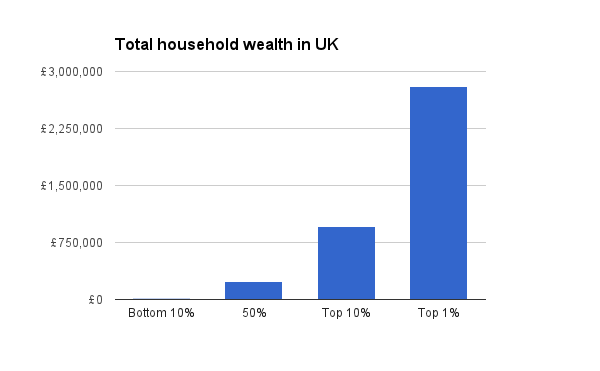 If we just concentrate on housing wealth (total housing wealth in the UK stands at something like £3,375 billion) we see a similar picture. 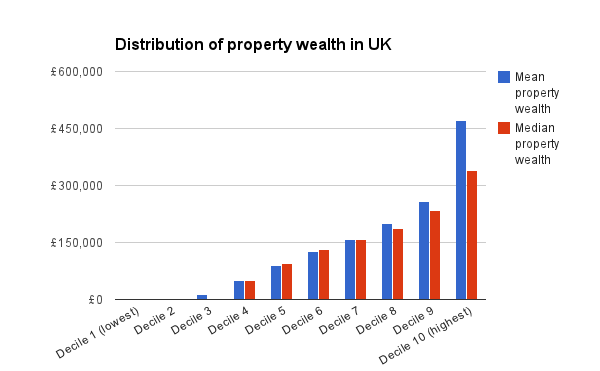 Here is how housing wealth is distributed. 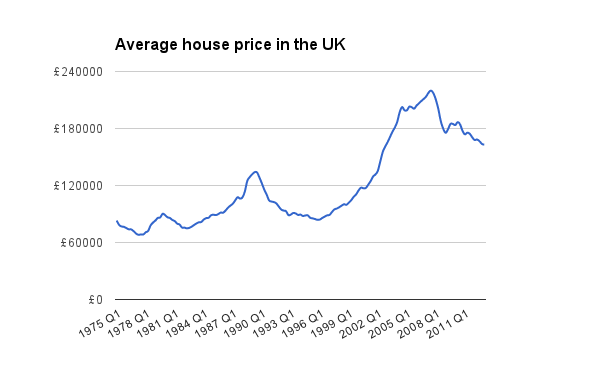 House prices have increased significantly, even adjusting for inflation, since the 1970s as this chart shows. 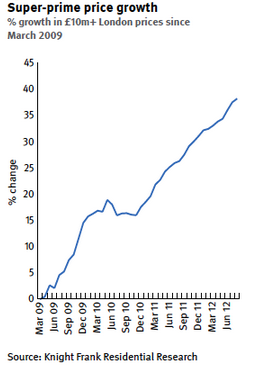 However, this has not uniformly benefited all homeowners. 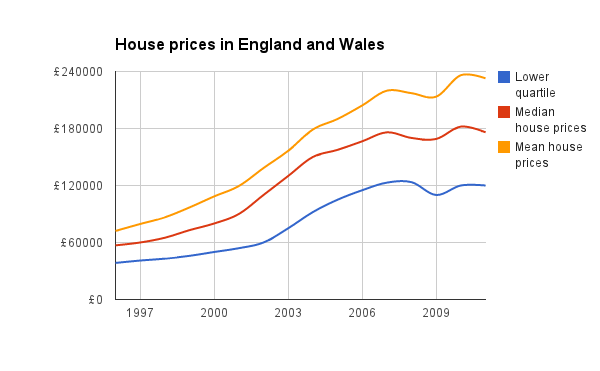 But has hugely benefitted those who own expensive houses. Many of whom are not born in the UK.